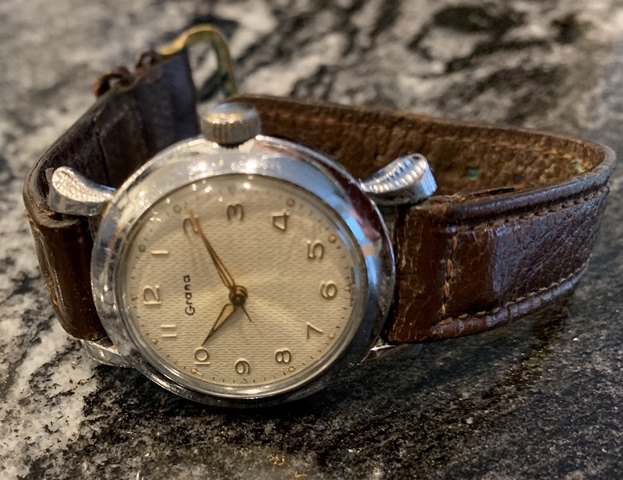 Great looking Grana watch circa 1940, Grana Kurth Frères was known for their high quality timepieces and produced many military watches. 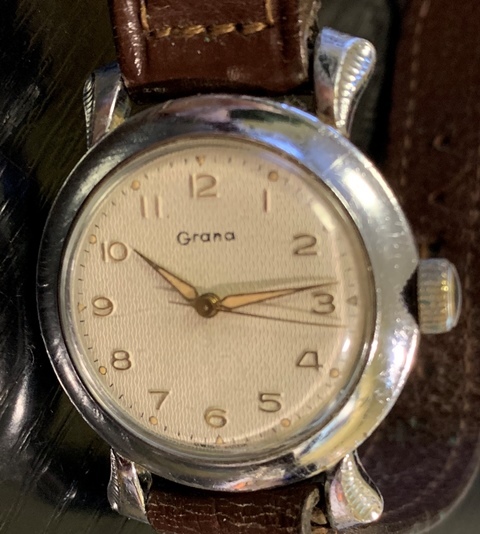 As of 1939 Grana was rebranded Certina but the name was phased out over a few years, both names were used simultaneously from 1939 – early 40’s. 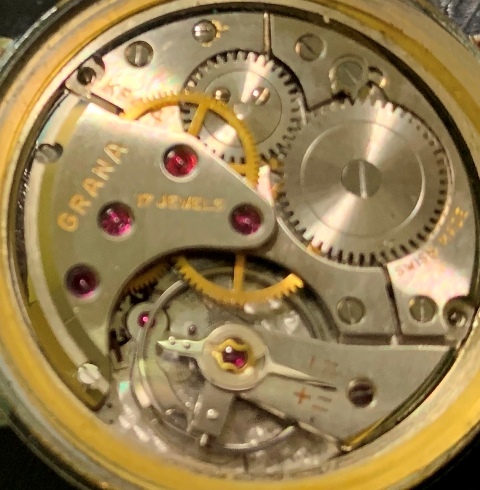 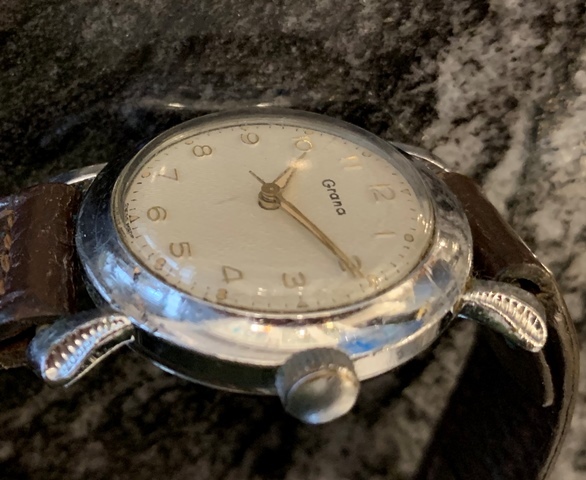 This watch has a great original guilloche enamel dial, flared lugs and KF (Kurth Frères) 414 manual wind movement in excellent working condition. 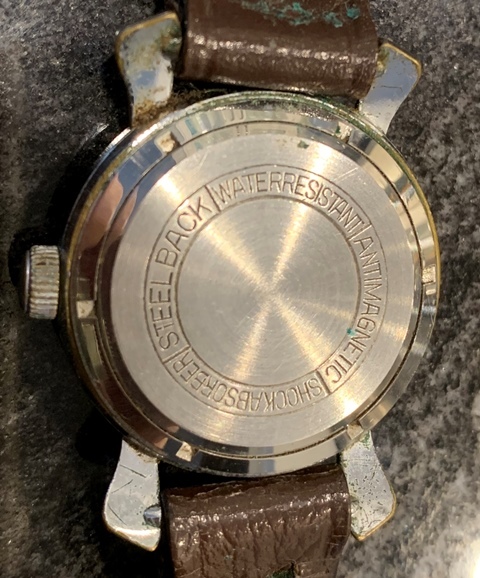 Photos are magnified and show details not seen by naked eye, the case measures 32.5 mm across (not including crown) x 42 mm lug to lug and is fit as found with an older leather bracelet.